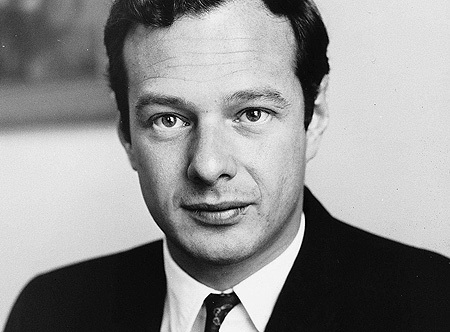 The Beatles Through The Years: What About Brian Epstein? But what about Brian Epstein? Epstein was from a wealthy Jewish family who owned a couple of furniture shops in Liverpool. In the 1950’s his father expanded their empire to encompass music as well, and began selling musical instruments and records. The stores were known throughout Liverpool as “NEMS” (North End Music Stores) and Epstein, having never been able to settle down in a career of his own, grudgingly accepted his father’s offer of managing one of the stores. In around 1960, NEMS started selling a local music paper called “Mersey Beat,” written by Bill Harry. The paper contained articles and details on all the music groups in Liverpool. Epstein, unable to see potential in the Liverpool music scene, only bought a handful of copies, which sold out almost as soon as he put them on the counter. Epstein ordered more and more copies and the same thing kept happening until he decided to actually read the paper, which featured a very popular local group called the Beatles. Epstein peppered Bill Harry with questions about them until Harry told him to go and see them for himself at a cellar club on Mathew Street in Liverpool, called the Cavern. Epstein had visited the club before when it was a local jazz hang-out. When he and his assistant, Alistair Taylor, visited the club at lunchtime on November 9, 1961, they were totally unprepared for what they were about to witness. “The Beatles were then just four lads on that rather dimly lit stage” Epstein would recount in an interview in 1964. Not only did Epstein remove the leather suits from the Beatles, but he removed the Beatles from that dimly lit stage in the Cavern club. From there he secured them an audition with Decca Records, something no one before him had been able to do for the boys. Though the Decca audition was a failure, Epstein refused to give up and got the Beatles an audition with George Martin, who signed them to Parlophone, a subsidiary of EMI Records. Epstein pressed on, booking tour after tour for the boys, securing merchandising deals, and reserving their spots on all the hit television shows. By 1964, Beatlemania was in full swing, the Beatles having conquered the world in less than three years of working with Epstein. By 1966, unfortunately, Beatlemania had taken its toll and the Beatles decided to stop touring forever. Epstein, fearing for his job, was in a panic and in 1967, when Sgt. Pepper’s Lonely Hearts Club Band was released, pleaded with them to do another tour. The band refused outright and later that year went to Bangor, Wales in search of meditation and tranquility. While the Beatles were away, Epstein was found dead in his flat in London; an apparent accidental overdose of pills. The Beatles ceased to function as a band a mere year and a half after Brian Epstein’s death. One has to wonder, had Epstein not died, would they have continued on into the 1970s and perhaps, beyond? What would he have thought of his own legacy as the man who gave the Beatles to the world?